Summer wedding couples listen up! We get a lot of questions about our tablecloth choices so here is a little post with some pics. 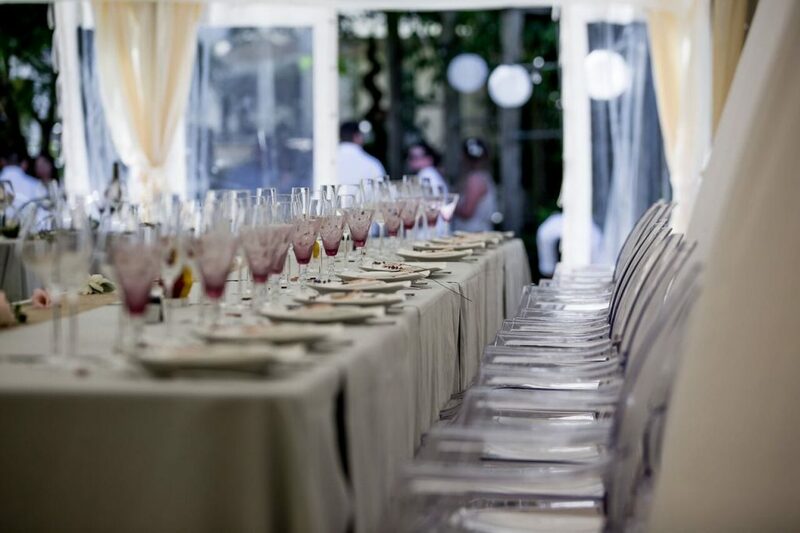 The use of our tablecloths, napkins, tableware, etc, is all included in our hire charge. Enjoy! This colour is by far the most popular choice. A neutral colour which matches most flowers, but has a modern touch. 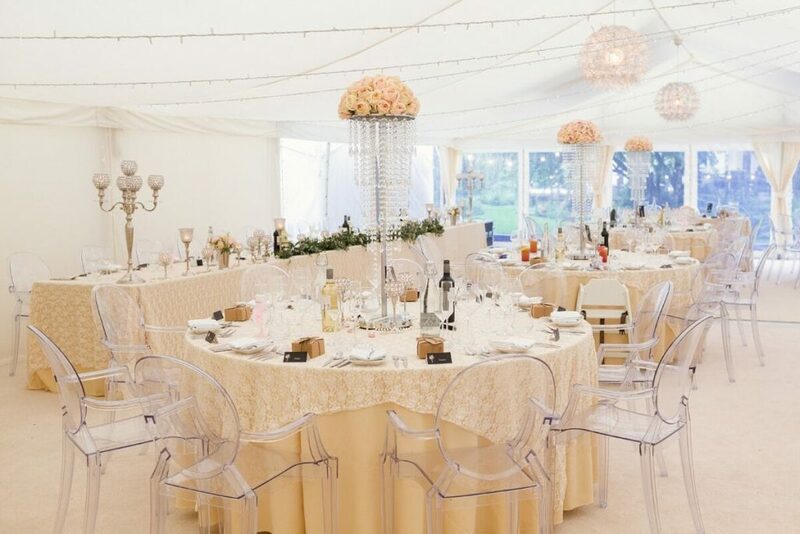 It’s also the best colour to match with the ghost chairs as they very much compliment each other. If you’re thinking of having the purple water glasses, I would absolutely recommend choosing the silver grey tablecloths. 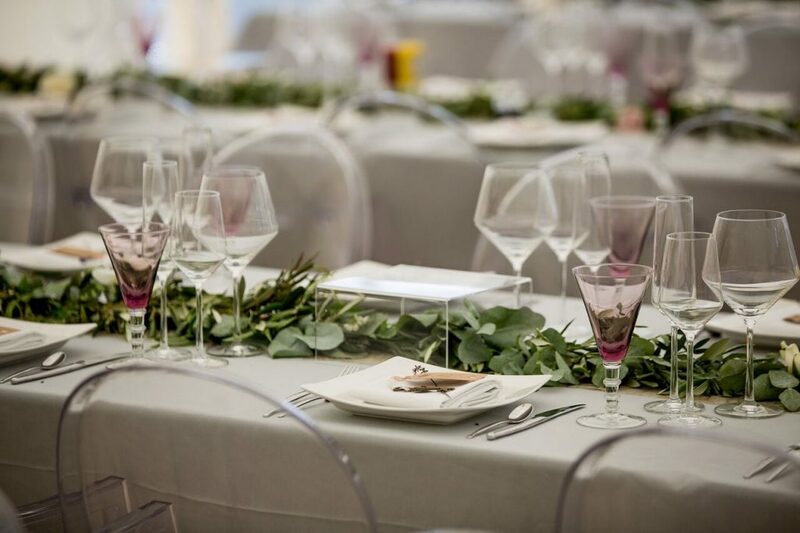 The purple glasses work amazingly with the silver grey tablecloths, and give the whole room a ‘pop’ of colour. 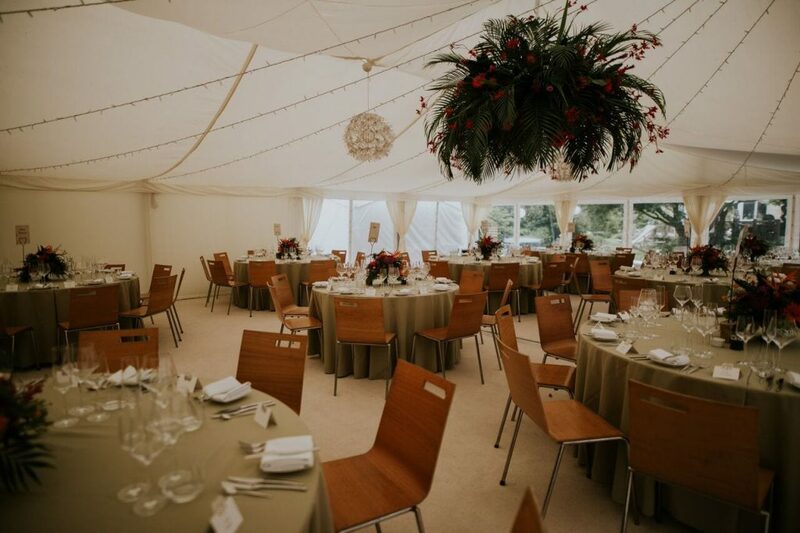 Our green tablecloths are also a popular choice, and perfect if you’re going for a luscious ‘nature’ look. 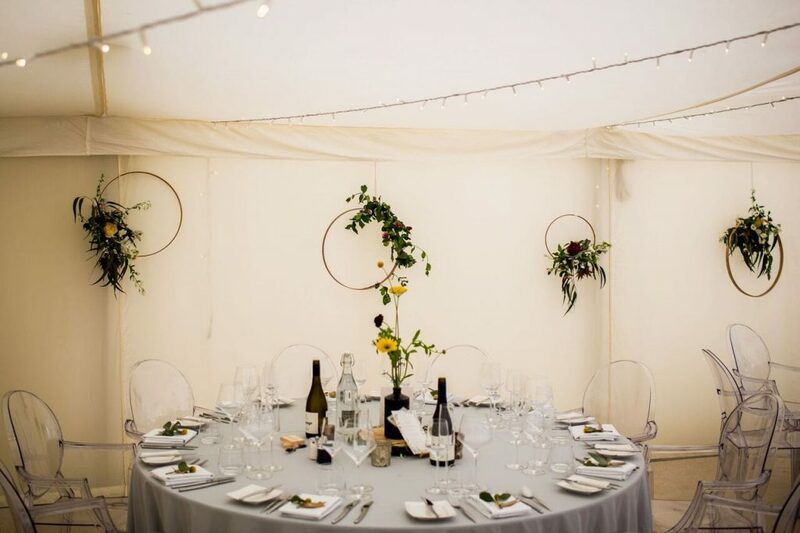 They’re also the best choice to match with our wooden chairs, so something to think about if you’re unsure of which chairs to go for. Green is a great base for centrepiece flowers, particularly ones with bright colours. Probably the closest to a ‘traditional’ tablecloth colour. The buttermilk tablecloths are versatile too. You could go traditional, glamorous, or boho, and buttermilk would work. 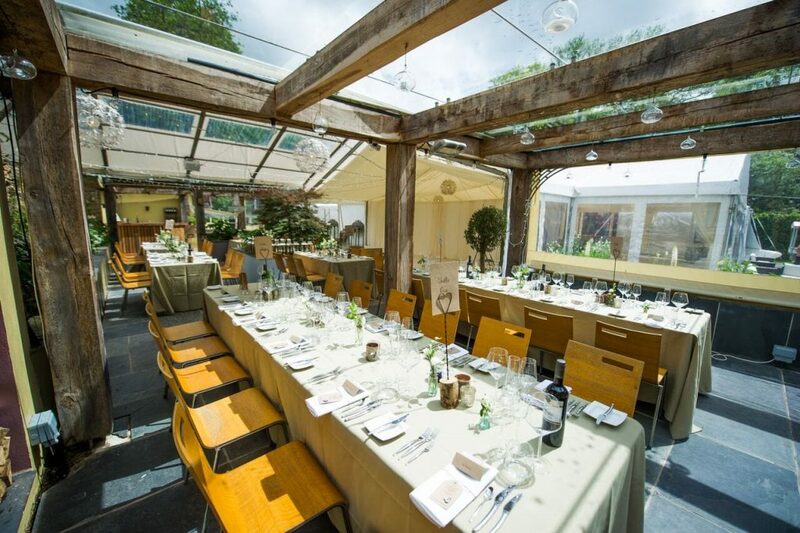 I’d say they are probably better suited to the ghost chairs, however if you like the wooden chairs but not the green tablecloths then I’d go for buttermilk over silver grey. So there are your 3 options! If none are quite working for you, then feel free to hire in your own tablecloths. We do only have white napkins too, but luckily white works with all three tablecloth options. Did you miss my last summer wedding post? I explored wedding cake options!